I have taught for six years (five years at Kilgore College and one year at Texas Woman’s University). What is your favorite part about being a technical college educator? As technical college educators, we are in a very unique role and position. 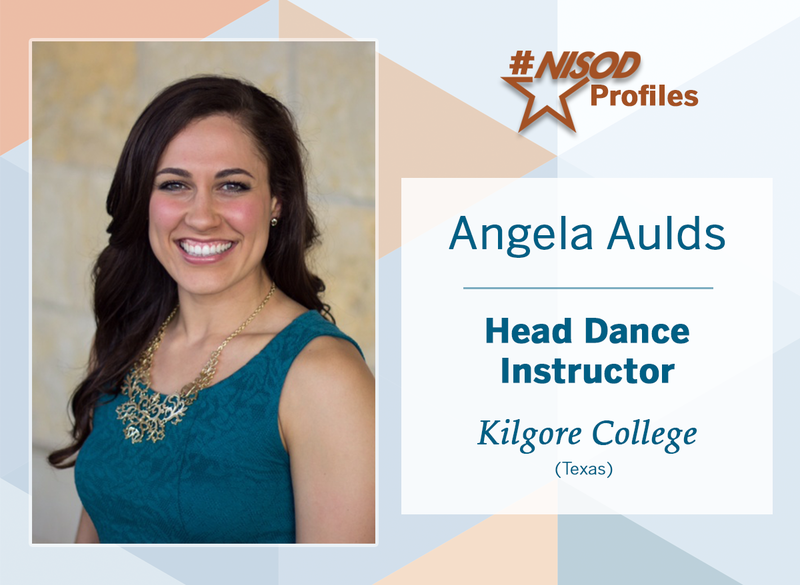 For the young minds that come to Kilgore College, my goals are twofold: I first want to prepare my dance students for higher education with as many new skills and tools as possible and, secondly, foster a creative space for learning that they feel both motivated and comfortable in. One of my favorite quotes is from Sydney Harris, who states, “the whole purpose of education is to turn mirrors into windows.” I think my biggest takeaway from that quote is that we should teach our students that learning is never finished. So, to answer the question of what my favorite part about being a college educator is, it is exposing my eager students to new ideas. My biggest piece of advice for new or existing colleagues would be introduce your students to as many new concepts as possible. In my line of work, exposing my students to different genres of dance is crucial to their learning capacities. I have found that pushing them into difficult or new genres actually catapults their learning. Try it out and you might find that you are learning something new too! I consider myself a young educator, so connecting with my students is something that is very natural to me. Over the past five years at Kilgore College, I believe I have created a culture that is both communal and inviting. I try my best to treat every student with compassion and respect. I try to make students feel special by using their names whenever addressing them and asking them about their days. I find that these two simple acts create a bond and sense of trust that is still professional. If I could have dinner with anyone, it would be the late Gussie Nell Davis. She was the creator of dance and drill team and the founder of the Kilgore College Rangerettes. Her legacy has surpassed 79 years of excellence, and I would love to hear how her idea manifested into what it is today and to discover what the early days of drill team really looked like.